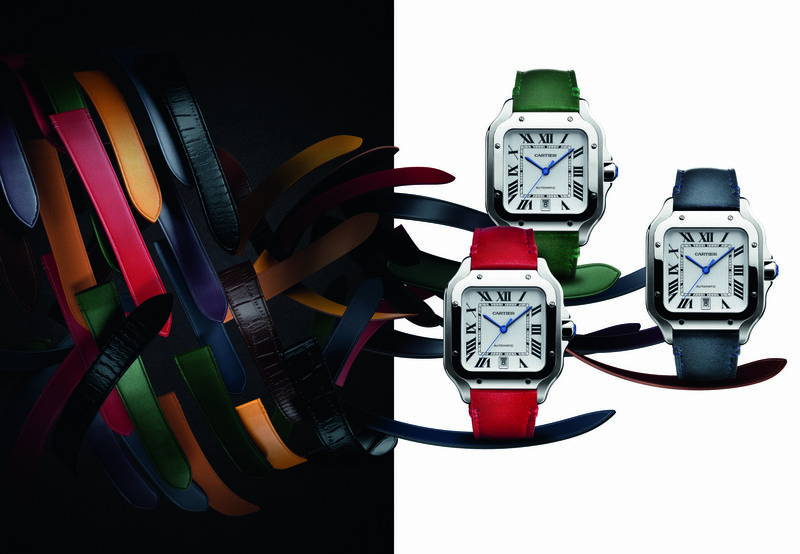 Watch and jewellery behemoth Cartier’s most commercial launch this year is an extensive range of Santos models for men. The Santos name dates back to one of the world’s first wristwatches, which was designed by Louis Cartier in the early 20th century for his friend Alberto Santos-Dumont, a fearless Brazilian airman and inventor. The 2018 family is bang up-to-date with its 1847 MC automatic calibre using anti-magnetic nickel phosphorus components in the escapement and movement mechanisms, as well as a shield made from a paramagnetic alloy to prevent interference from magnetic fields. In an era of pocket watches, a leather wristwatch strap was revolutionary on the first Santos in 1904, and Cartier says it has brought the same spirit of innovation to a large range of 17 coloured leather straps and metal bracelets for this year’s collection that can be swapped over in seconds. 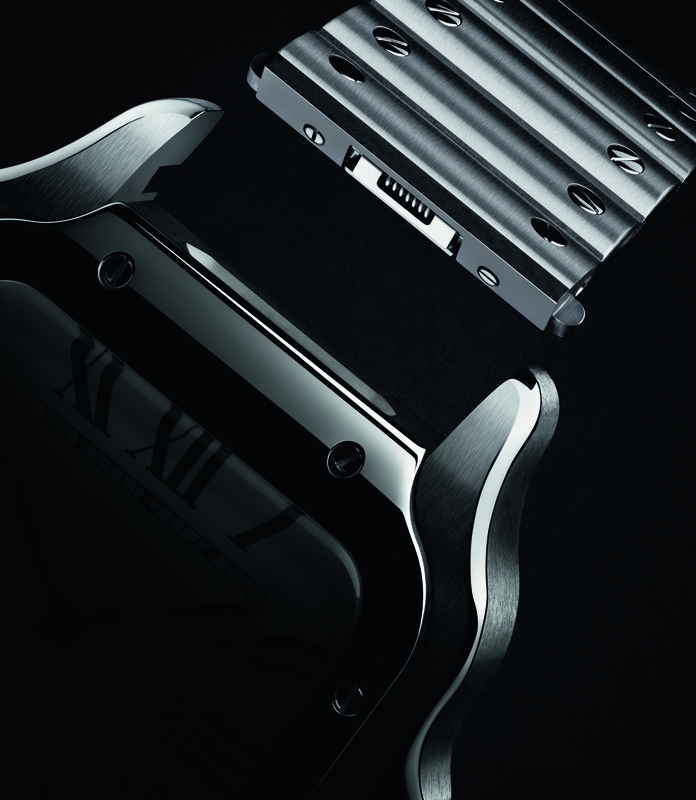 The watch, which will hit stores in April, itself sticks closely to historic designs. 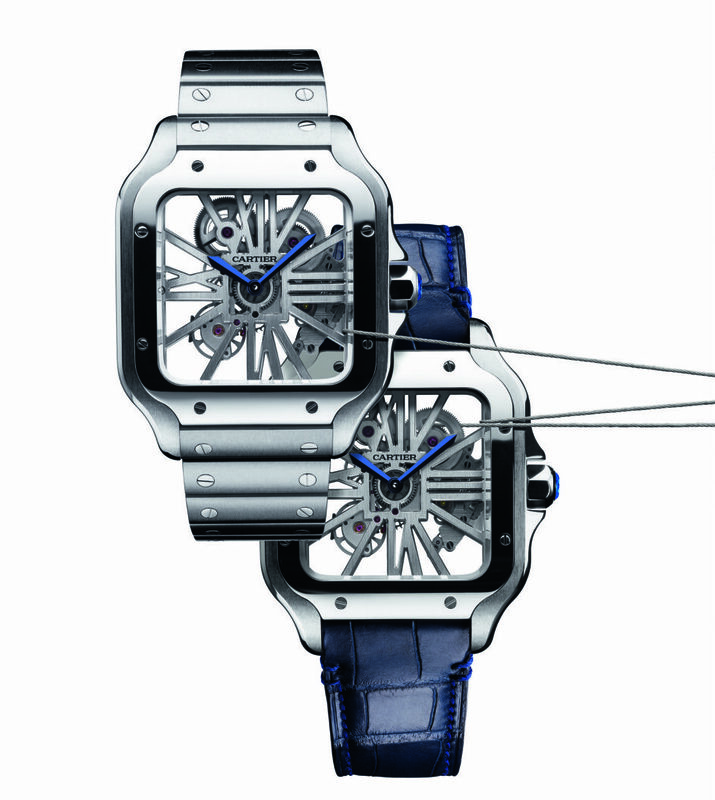 Its square case with rounded corners and lugs that sweep into the strap are familiar, as are the eight screws on the bezel and the roman numeral hours behind Cartier blue hands. The commercial appeal comes from the depth of the family and its affordability. There are medium and larger sized versions starting at €5000 (£4450) for an all-steel model; €7300 (£6500) for a gold and steel edition and €32.000 (£28,450) for an all-gold piece. There is also a member of the family in steel or gold with a fully skeletonised movement at the top of the line.